View cart “Native American Diorama – Handpainted” has been added to your cart. 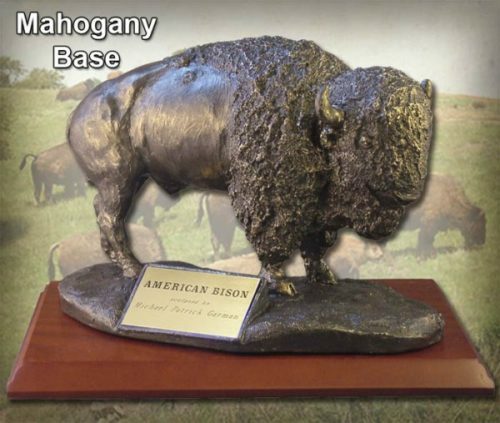 Celebrate the American frontier and the dignity of our first American heroes – the American Bison – with this handmade sculpture by Michael Patrick Garman. 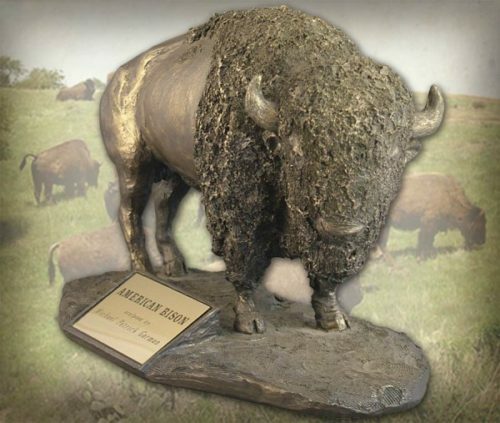 Sculpture measures 7″ x 10.5″ x 5.75″. ©2003. Bronzetone finish. 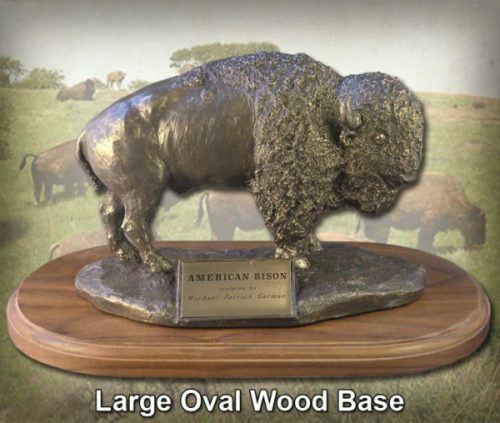 Includes engraved “American Bison” plaque. #MG191. 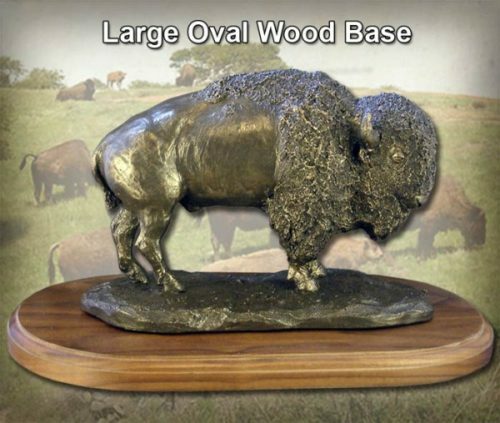 Upgrade your sculpture with a wood base – choose from either our Large Oval Wood Base or our Mahogany Base. 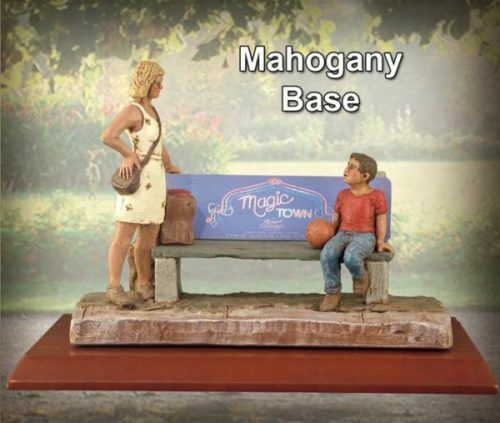 See suggested wood base options below.